I love providing my kids with unique math challenges. Sometimes this means logic puzzles, sometimes mental math challenges, and sometimes it means applying math to their current interests. I want to encourage a love for the beauty of math, as well as challenge them to think deeply about what they’re learning. I also want to help them see that mistakes are a necessary part of math learning. But I also want to show them that math is not always as straight forward, “exactly one right answer” as many would believe. 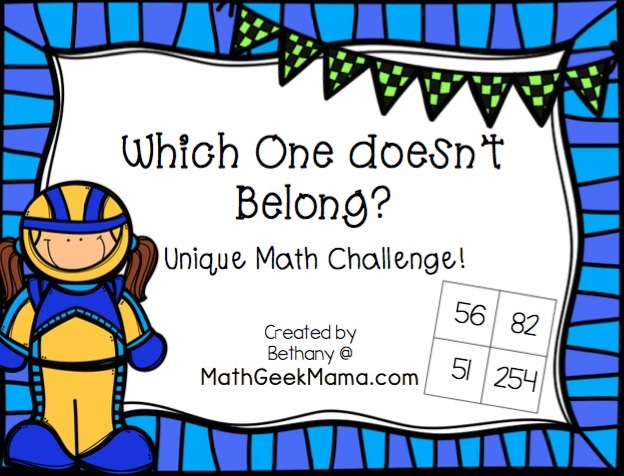 Which is why I’m so excited to share this critical thinking math challenge for kids: Which Number Doesn’t Belong? 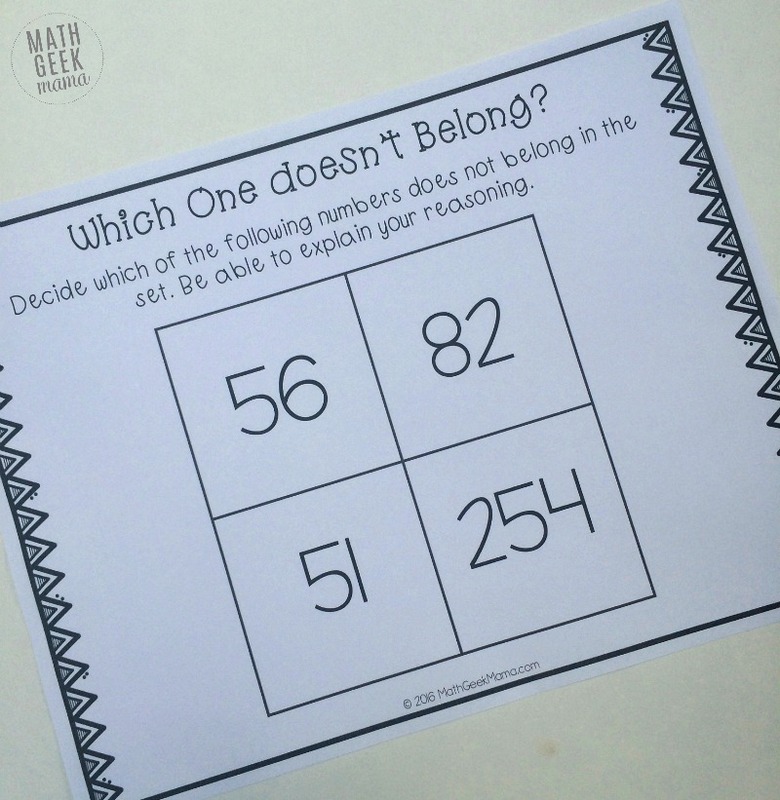 I love this post from Christopher at Talking Math with Your Kids. He is writing a completely new and different type of “shapes” book for kids (available soon). His post inspired me to come up with a version using numbers. I’m sure this is not a new concept, but I had fun creating this and trying it out with my husband and kids. 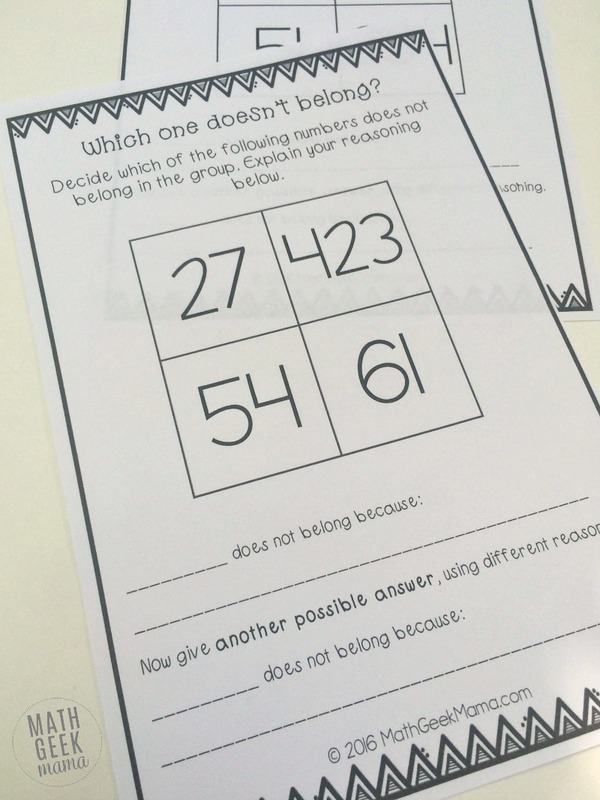 The beauty of this critical thinking math challenge, is that there are so many possible right answers! So I hope it encourages you and your kids to come back to them again and again to try and come up with a new solution and supporting reason. Each page has a set of four numbers. The object is to determine which number doesn’t belong in the set and provide a true and valid reason for your answer. What I love is that these are great for kids as young as kindergarten and as old as high school. I created each set with at least 2 or 3 possible answers in mind, but when writing out the “possible solutions” page, I found even more as I contemplated the sets more deeply. 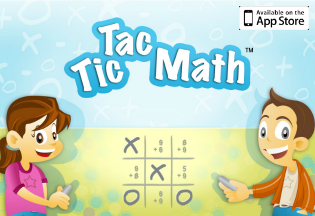 This download includes ten math challenge sets. First, are ten full size pages that you can use for a large or small group activity. If you are a classroom teacher, you might turn these into projector slides or use a doc camera and post them at the front of the class. You could use this as a fun math warm up as kids begin class. It’s also a great way to spark a math conversation (or debate 😉 ). This download also includes ten half sheets which you can use as individual assignments. These include a space for kids to write out their solution and reasoning. Then there’s a second question which challenges kids to find another solution and explain their reasoning. You could use this as an exit ticket or quiet activity for kids who have finished their assignments. Please note: though there are two different versions (so you can use it different ways), there are only ten sets. The full page and half page versions are the same, just different formats. 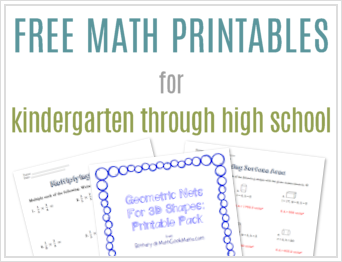 Also included in this download is a “possible solutions” page for teachers and parents. I debated including this, because I wanted to leave it open-ended and encourage math talks. But I also want to provide support for parents and teachers, so I hope this gives you a good starting point as you discuss with your kids. Want to download this set for your home or classroom? 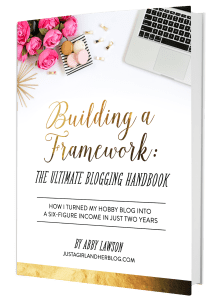 Click the link below to get it FREE in my shop! 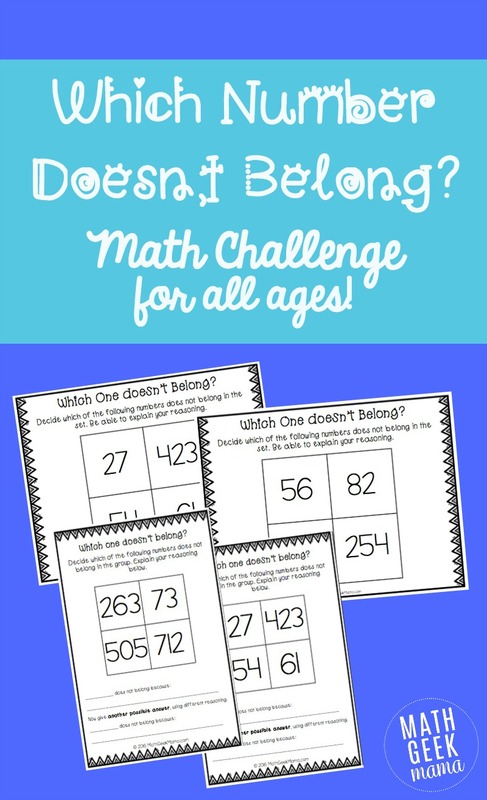 Want more unique challenges for your kids? Try one of these!